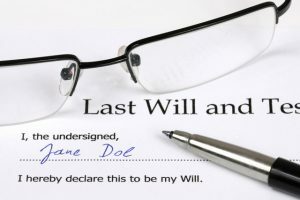 Study sample wills on the internet to strengthen your grasp of how to structure yours. Find numerous examples on the Family Law Express Sample Legal Documents portal. Discuss plans with your family – even seek their input, says estate planner Bruce Cameron. “It doesn’t hurt to know ahead of time which of your family members wants your collection of garden gnomes, grandma’s china, or the silver tea service,” Bruce Cameron says. Lack of discussion may spark entitlement feuding, he adds. Be exact, says Bruce Cameron. Instead of identifying heirs by name alone, include details such as their birth date, address and relationship to you. State where your assets will go if heirs and beneficiaries prove unavailable, unable or unwilling to claim their inheritance, says Bruce Cameron. For instance, the beneficiary might “predecease” you. Or, if a beneficiary is a charity, it might have stopped operating. Resist the urge to hit back from the grave. A clause saying that someone will only inherit if they quit gambling and drinking and wed someone at least 180cm tall and five years their senior may spark court battles rather than reform behaviour, says Bruce Cameron. Don’t think you can just write your will and relax, says Bruce Cameron. Regularly update and rewrite your will, reviewing it upon changes such as the birth or adoption of a child, divorce or retirement.